The Adgate Trophy race is hosted by Boyne’s Ambassador of skiing, former Olympian, US National Champion, and 2009 US Ski Hall of Fame inductee Cary Adgate. The Adgate Trophy has historically attracted top talent from around the state and beyond. The course will be set on North Boyne. There will be divisions for men and women as well as age categories. The winners in the open divisions for men and women will have their names etched on the Adgate Trophy. On-line pre-registration and additional information will be available approximately 30 days prior to the race. Below are the latest postings from the Boyne Mountain Resort Page On Facebook. Looks like a great day!!! Looks like North Boyne not Hemlock. Darn, I missed it again! 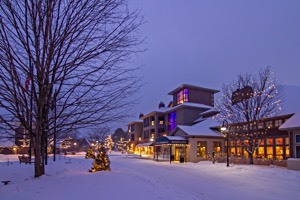 It is with great sadness that we share there was a fatality yesterday in Boyne Mountain’s Clock Tower Lodge pool. Information about the incident is linked below. Boyne Mountain Resort President/General Manager, Ed Grice, today released the following statement in response to the fatal drowning that occurred at the resort’s Clock Tower Lodge pool at approximately 6 p.m. Thursday, April 18. Prayers for the family and friends of this child! Prayers for her family, God be with all involved. Sending prayers to family and friends. Prayer for the family. My thoughts and prayers for all! Sincere condolences to the family and all those responding to the emergency. Breaks my heart, our thoughts and prayers are with the family. Prayers sent to family and friends. My Condolences to that young girl’s Family and Siblings. May God be with them during this time and with the Staff who had to witness such a horrible and sad thing. 😞Heaven has gained another young angel to soon in life. Condolences and prayers for the family. So sad. Prayers for everyone affected by this tragedy. I'm so sorry for your loss I can't imagine the loss you are all feeling. Fly with the angels sweet child. God bless all of you I'll keep you in my prayers. The family is in our thoughts!